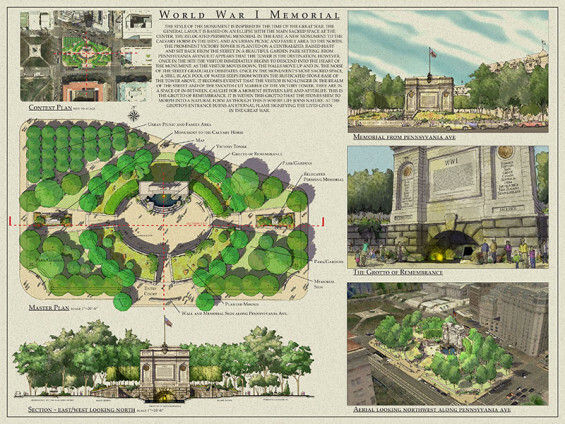 U.S. World War One Centennial Commission have announced that five concepts have been selected to proceed to Stage II for the National World War I Memorial design competition. 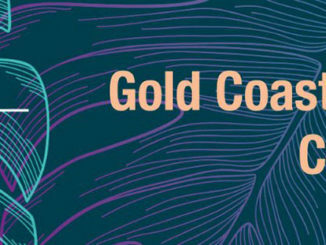 In the next stage of the competition, the five finalists will work in consultation with the Commission, public agencies with ultimate approval authority over the design, and other stakeholders to further develop and refine their initial design concepts. At the end of Stage II the jury will make recommendations to the World War I Commission, which expects to announce a winning design concept in January 2016. The five finalists include various designs from the classical, modernist, contemporary and landscape urbanism. 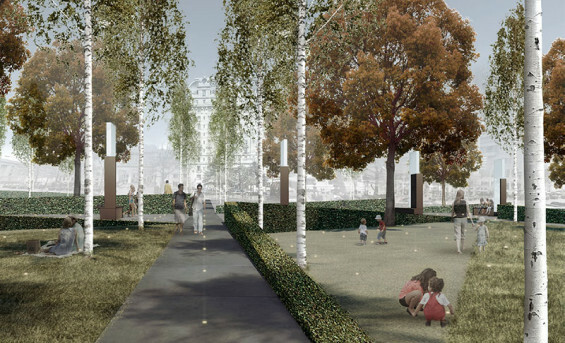 However, in recent weeks The Cultural Landscape Foundation(TCLF) has raised concerns about the threat to the current Pershing Park landscape designed by M. Paul Friedberg and recently added the park to TCLF’s Landslide list of nationally significant at-risk and threatened landscapes. 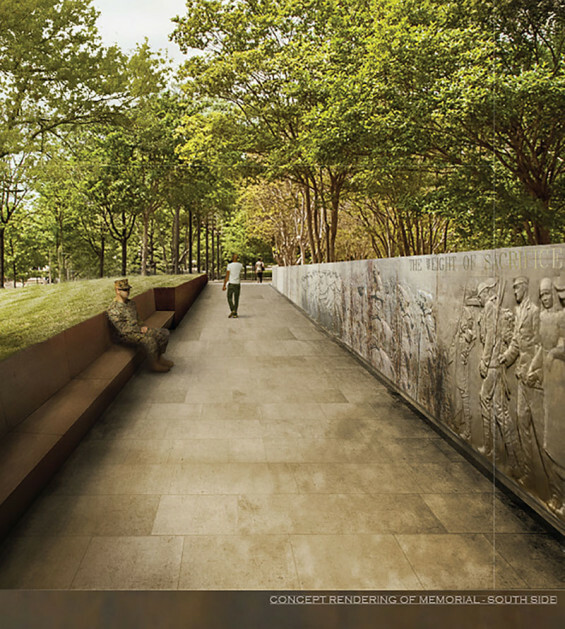 “An American Family Portrait Wall in the Park” submitted by STL Architects in Chicago.